Each set of water decals comes on a small sheet like this. To use a decal, you just cut it out of the sheet, soak it in water for a ~20 seconds, and then slide the decal off of the white backing paper. 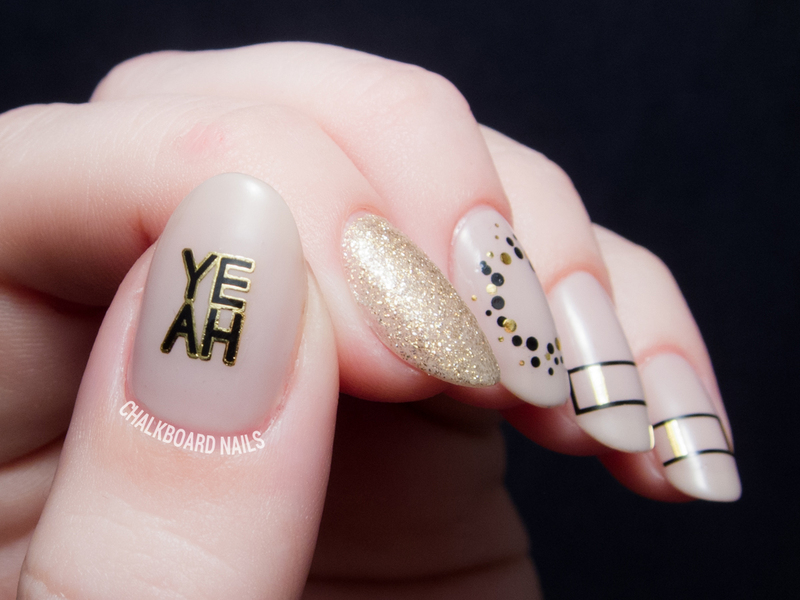 Position the decal on your dry nail and dab it on a paper towel to remove any excess water, then finish with a topcoat. One thing I really appreciated about these decals is that the clear part of the decals around the designs are already trimmed. You don't have to cut super close around the design to avoid excess clear around the edges...the work is done for you! Just slide it and stick it. You can also use them in gel to get a lot of mileage out of your WrapArtist manicure. For this look, I started with a base of Deborah Lippmann Like Dreamers Do from the new spring collection (swatches soon). The glitter accent nail is Nicole by OPI Get Carrie'd Away. I added decals from two WrapArtist sets: Being Negative and Say What. The Say What set is especially awesome for those of you that like to get a little saucy, as it includes profanity & other buzzwords. If you are interested at all in these decals, I highly recommend browsing the Wrap Artist site. There are lots of killer sets, and I've only given you a taste of the awesomeness here. I'm already scoping out some additional sheets to grab for myself. WrapArtist decals are available at wrapartistnails.com. 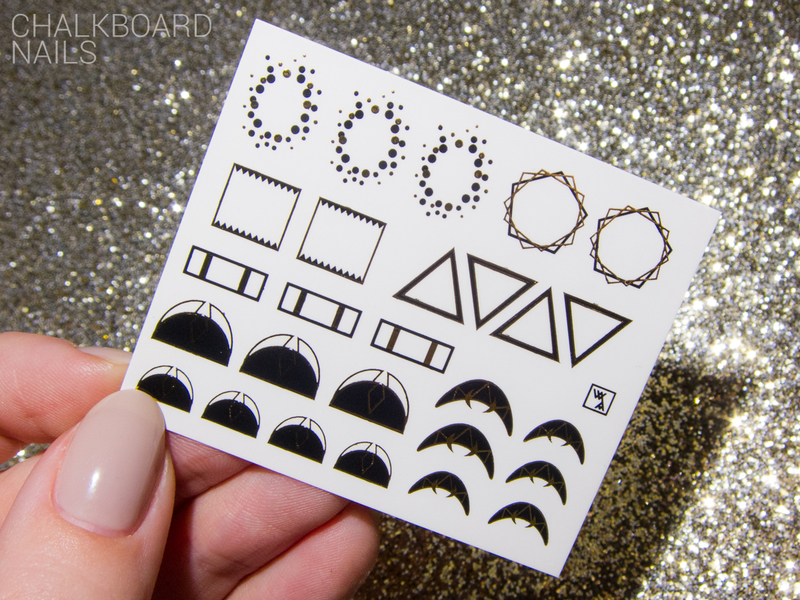 Decals range from $5-6 per sheet. 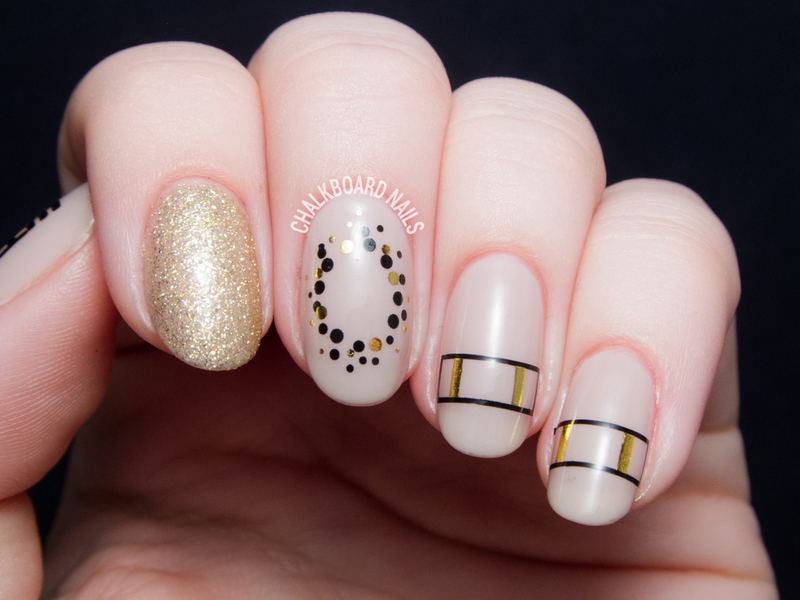 Those are lovely nail decals! I totally agree, there designs are so chic too. I usually hate water decals but these are super cool. I think I like them best because they are black and gold. Chic yet funky! Those are some really unique decals, I will definitely be checking them out! These are so cool, and I love how you've worn them! So cool! The thumb and third finger are especially nifty! These are simply amazing! WOW!!! Really a great job! They look so amazing. Hahah good news! It's only taken you a year to get accustomed. ;) These decals are really wonderful, super high quality. If you are into water decals already, you must check them out!